And even October disappointed with critical and commercial bombs abounding. Blade Runner 2049, which easily should have been the movie of the month, got some of the best critical acclaim of the year – and rightfully so – but had a box office that disappointingly, though understandably, underwhelmed. Thankfully, The Florida Project is doing quite well for a very limited release film and could become one of 2017’s most notable Oscar dark horses – and rightfully so. 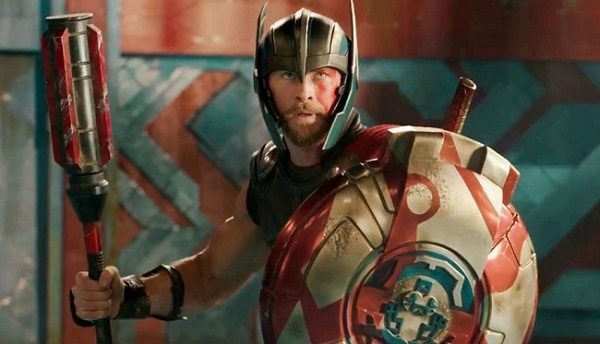 Now onto November with two major superhero films and two major comedy sequels. A Bad Moms Christmas – It was only a little over a year ago that Bad Moms hit theaters (released July 29, 2016) and became a sleeper hit. So they made another one, which combines two surefire signs for success: comedy sequel AND rushed sequel. (The lack of reviews the day before hits the quality trifecta.) This installment features the moms of the moms, played by Cheryl Hines, Susan Sarandon, and Christine Baranski. It’s also being released on Wednesday the 1st instead of Friday the 3rd, presumably to eke out a few extras dollars before Thor. Lady Bird – Greta Gerwig (star and co-writer with Noah Baumbach of Francis Ha, Mistress America) is the sole writer and director for Lady Bird, a 2002-set coming of age movie starring Saoirse Ronan (Brooklyn, Byzantium). Gerwig has regularly represented the best of “mumblecore,” while Ronan is regularly one of the strongest bets for the soulful coming-of-age lead. Early reviews paint this as one of this year’s best movie. Last Flag Flying – A 2003-set movie, Last Flag Flying is Richard Linklater’s latest directorial effort. This sequel to the Hal Ashby-directed/Jack Nicholston-starring The Last Detail (1973) stars Steve Carell, Bryan Cranston, and Laurence Fishburne as Vietnam vets on a mission to bury one of their sons. Reviews are moderately positive. LBJ – Rob Reiner’s directorial efforts as of late have been uniformly poorly. His bigger films since 2000 have included And So It Goes (2014), The Bucket List (2007), and Rumor Has It (2005). His latest, LBJ, is fairing slightly better critically – but only slightly. The movie tells of Lyndon Baines Johnson (played by Woody Harrelson) taking over the Presidency after JFK’s (Jeffrey Donovan) assassination. Unlike last year’s Jackie, which covered the same period, this one seems like your conventional toothless (both visually and character-wise) biopic, and its burial this week (and lack of promotions) does not bode well either. My Friend Dahmer – Real life serial killer movies rarely work. Some of the most fascinating murderers in history normally end up relegated to poorly done straight-to-video horror movies, which can be fun for “bad horror movie” night, but rarely capture what keeps these figures so present in our collective memories. My Friend Dahmer, which is about a young Jeffrey Dahmer and based on a graphic novel by Derf Backderf is actually getting good reviews – though it’s probably going to be primarily VOD. 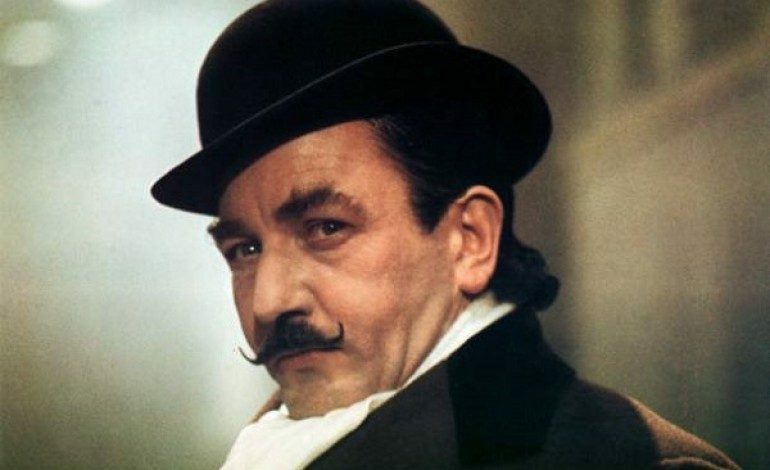 Murder on the Orient Express – Based on an Agatha Christie novel, this remake of the 1970s Albert Finney-starring/Sidney Lumet-directed mystery classic boasts an all star cast and, naturally, the same plot. Kenneth Branagh directs and stars as the detective Hercule Poirot investigating a murder on the Orient Express. 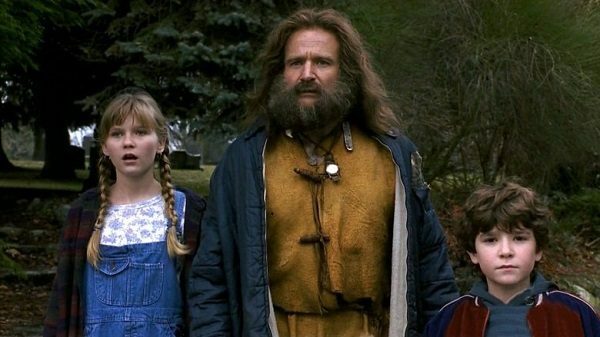 This period piece marks an interesting piece of counter-programming to the Marvel and DC juggernauts of this month, but it’s important to remember that older audience skewing movies have done remarkably poorly lately, not just financially, but critically as well. Based on the trailers, Murder looks like it might suffer from the same overlong/over-seriousness that plagues a lot of these films, but as long as they stick close enough to the source material, it should be a fine alternative. Daddy’s Home 2 – Arriving just in time to take the wind out of A Bad Moms Christmas’ sails is Daddy’s Home 2, the sequel to 2015’s Daddy’s Home starring Will Ferrell and Mark Wahlberg. This one features the daddies of the daddies, played by Mel Gibson and John Lithgow. Three Billboards Outside of Ebbing, Missouri – Martin McDonagh’s (In Bruges, Seven Psychopaths) latest as writer-director stars Frances McDormand as a mother pressuring a police chief to solve her daughter’s murder. 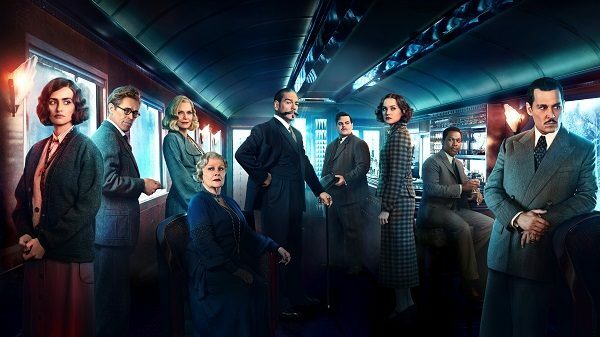 The trailer showcases a mix of dark humor and rich characters, and overall looks better than the far more high profile Murder on the Orient Express. Although we’ve been burnt before, even very recently, with decent trailers (see: Suburbicon), the reviews for this are fantastic, and this could be one of November’s highlights. 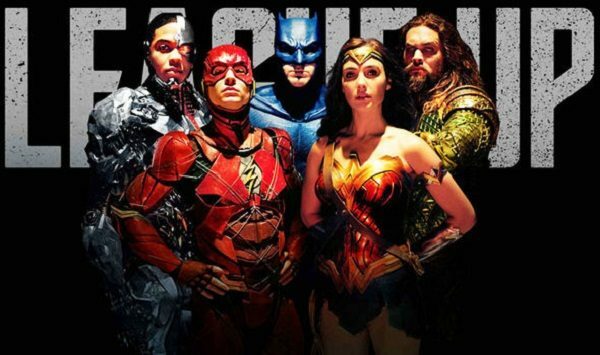 Justice League – It will be bad. It was always going to be bad. The Star – It’s an animated movie about the animals who follow the Star of Bethlehem to witness the birth of Jesus Christ. This is apparently a thing. From the wizards over at Sony. Wonder – Julia Roberts and Jason Tremblay (Room, The Book of Henry) star in this movie about a boy with a medical condition going to elementary school for the first time. With a PG rating and words like “inspiring” and “heartwarming” attached to its plot description, it’ll probably be terrible. Then again, I guess Mask worked. Owen Wilson co-stars, so I also assume the kid dies. Roman J. Israel, Esq. – Writer-director Dan Gilroy follows up Nightcrawler, which still ranks among the best of the decade, with Roman J. Israel, Esq. This seemingly conventional lawyer drama stars Denzel Washington as a down-and-out attorney who still looks and acts like it’s the 1970s and, naturally, finds himself wrapped up in a hopeless case with multiple layers. The 70s aesthetic gives it an extra twist not common in this genre (e.g. Goliath), but the early reviews were so poor that Gilroy apparently completely re-edited the film. I Love You, Daddy – Louis CK tries his hand at big screen filmmaking with the black and white dramedy I Love You, Daddy about a writer (CK) whose daughter (Chloe Grace Moretz) is being preyed upon by a creepy filmmaker (John Malkovich). With FX’s Louie, CK showed himself as an unique voice, particularly in the world of comedy. Although this film has mediocre/poor early reviews, it’ll still be interesting to see what he comes up with, especially with how topical the plot has become. 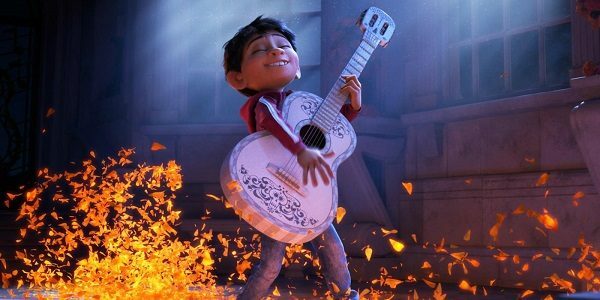 Coco – It’s Pixar, so it’s destined to be a hit. Then again, the last winter Pixar movie, The Good Dinosaur, didn’t reach Pixar expectations. And the last Day of the Dead-set animated feature – 2014’s The Book of Life – did not do anywhere close to Pixar numbers. And the last animated movie to heavily feature a guitar was February’s Rock Dog. But then again, there has not been much in the way of kid’s fare. Darkest Hour – One of the 20th centuries most fascinating figures, Winston Churchill gets the big screen treatment with Joe Wright’s Darkest Hour. The big draw is an unrecognizable Gary Oldman as the British Prime Minister, but hopefully this film (which could function as a companion piece to Dunkirk) captures his essence in addition to his look. Polaroid – Basically the same as Wish Upon. And it’s a The Weinstein Company release. Good luck. The Current War – We’ve long wanted to see Edison v. Tesla: Dawn of Electricity, but the trailers make it seem more Edison v. Westinghouse: Dawn of Utilities, with the notoriously jerky Edison in the ‘hero’ role. The actors are great (Benedict Cumberbatch, Michael Shannon, and Nicholas Hoult), but disappointingly, the reviews are not. They are the worst type of bad reviews, indicating a film that is surface-level, rushed and boring rather than misguidedly ambitious. Additionally, this The Weinstein Company release was just shuffled to an undetermined date in 2018 to distance itself from the ongoing scandal. Call Me By Your Name – This year’s big LGBTQ movie is also one of the best reviewed movies of 2017. Name stars Armie Hammer and Timothee Chalamet as two young people who experience first love amid the beautiful 1980s Italian scenery. It’s directed by I Am Love and A Bigger Splash‘s Luca Guadagino and written by James Ivory of the Merchant-Ivory team. The Man Who Invented Christmas – The last part of 2017’s underwhelming trilogy in the ‘writers you know writing a story you know’ genre (see: Rebel in the Rye, Goodbye Christopher Robin), Dan Stevens (Legion, Colossus) plays Charles Dickens writing A Christmas Carol. And that’s November, not much in the way of stand outs, but it might have enough quasi-decent movies to reach adequate. Plus The Killing of a Sacred Deer and The Square should be expanding, and I’d be surprised if The Florida Project didn’t keep increasing its theater count. Then again, we’ve been burned more times than not this year – The Current War apparently squandered three of the most interesting figures of the late 19th century and three of the best actors of today – so who knows what will work and what won’t. Then onto December where the only thing that matters is Star Wars.